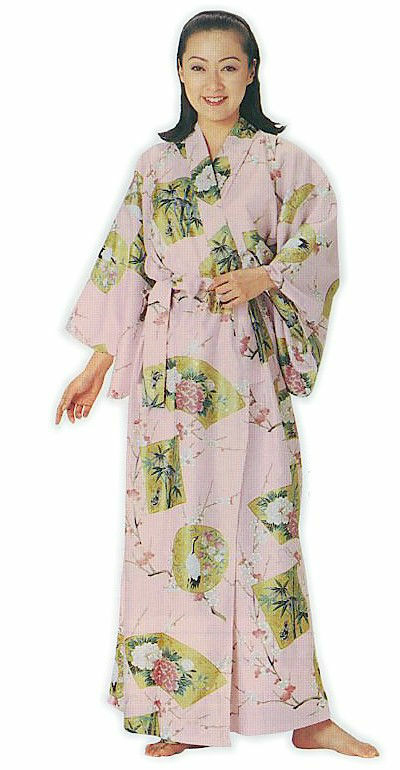 Yukata are the casual style of kimono, easy to wear, light, and comfortable. This yukata is a lightweight print kimono and 100% cotton. It features a beautiful pattern of gold foil and cranes, bamboo and chrysanthemum, all against a subtle pink background. This yukata features a beautiful pattern of gold foil and cranes, bamboo and chrysanthemum, all against a subtle pink background.